Do you want to make your career as a Software Engineer? Then you must be having an idea that it involves a lot of steps. First of all, you need to make a software process model comprising of Unified Modelling Language. That will determine the process of a model and a network diagram. This includes a modeler that is a UML 2 tool box. For specifying and generating code, it allows programming simultaneously in C++, Java, PHP, Python, IDL, and MySQL. It performs very fast, less memory is required for managing classes in the numbers of several thousand. You have to buy a valid licence. 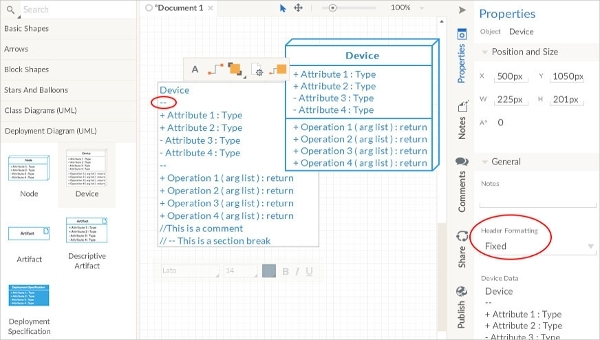 Available as an open source program, one of the leading UML modelling tools supports all nine standard UML 1.4 diagrams, has XMI and OCL support too. Available in ten languages and through Java platform it can be run. It is extensible, supports extreme zooming and advanced editing of a diagram. For business analysts, software and enterprise architects, a visual modelling tool, helps in their process of analysing and designing. It helps in visual representation and understanding of the flowchart software. A live source technology providing leading edge modelling platform. Through unified modelling, it reduces maintenance cost and increases business agility. In the market, there are several types of software modelling tools available, you have to choose which fits your requirement especially the operating system you use on your system. Based on the compatibility for Windows, Mac, Linux or Android systems, you have to install the program and start running it. For business analysts, this program has been designed to track management tools and its agile requirements. 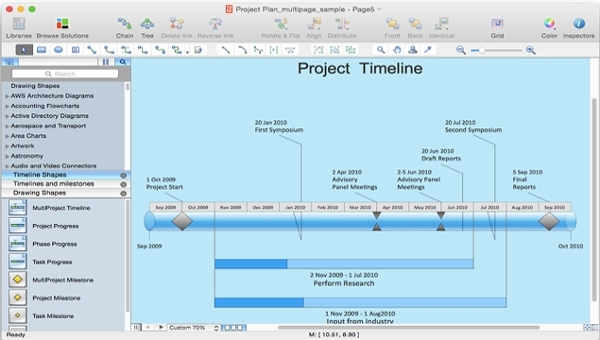 Generating requirement documents for a software was tedious through Microsoft word and the external tools, hence this was developed for automatically generating through templates. The use cases can be written very fast through it. 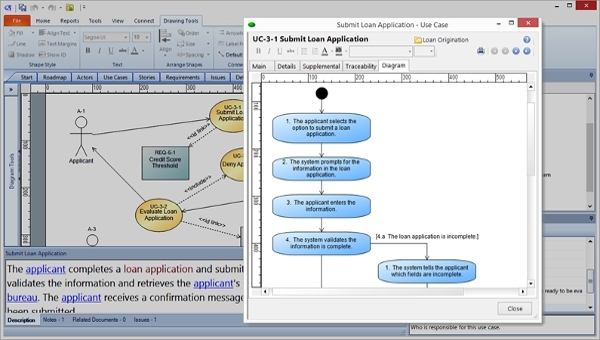 ConceptDraw PRO 10 is a world class platform for diagramming. It has unique features, it provides a set of drawing tools which are totally professional, templates which are ready to use, ERD Shape Library and various file export and custom printing options. Linked data can be displayed through it dynamically. This is a web-based program, for creating UML class diagrams, use case diagrams and all other UML drawings very quickly. Various UML diagram templates which are professionally designed can be found here and for various UML types, you can have an extensive library without any form for registration requirement. 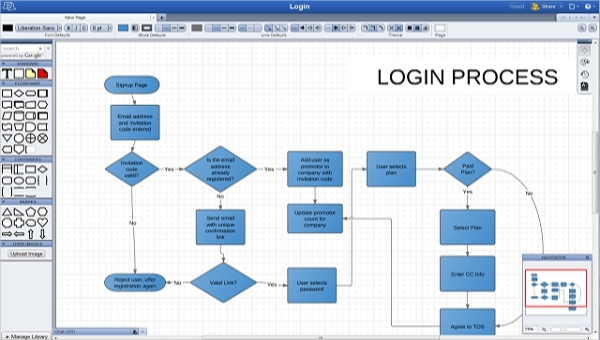 For creating a professional flowchart for software, this online application is very useful and can sketch very easily. All form of professional needs like brainstorming and project management can be taken care through this application. It can make all sort of modern diagrams through collaborative technology, iPhone & iOS. Mockups can be created by Lucidchart too. What is Software Modelling Tools? Program applications which are not focused exclusively on UML, but if it supports add-on or as a component of the overall functions of the modelling language, then also the Software modelling tool can work. 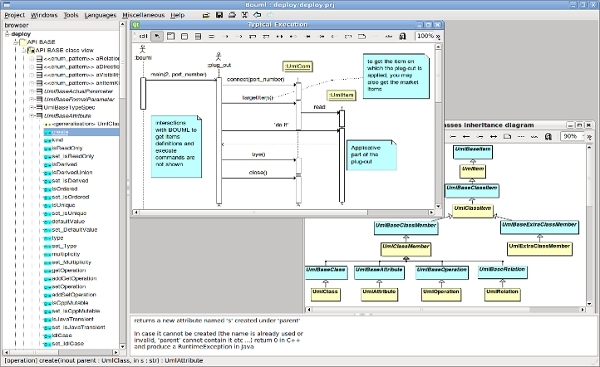 Its functions include: Diagramming, generation of codes, reverse engineering, and transformation of a model. It is equivalent to Wireframe tools which are required for web development. For taking control of your business projects or software programs as an analyst in an ideal way, use comprehensive Software modelling tools. These tools can make graphical notations in rich context and also set other elements and diagrams. Download the best software program from the list given above and start working.